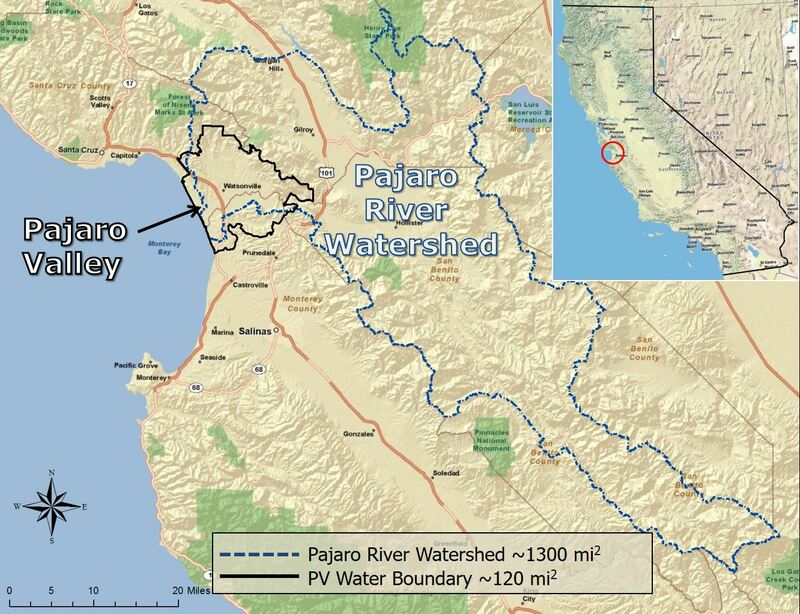 This regional map shows the PV Water boundary in relation to California, the Pajaro River Watershed and the greater Monterey Bay. 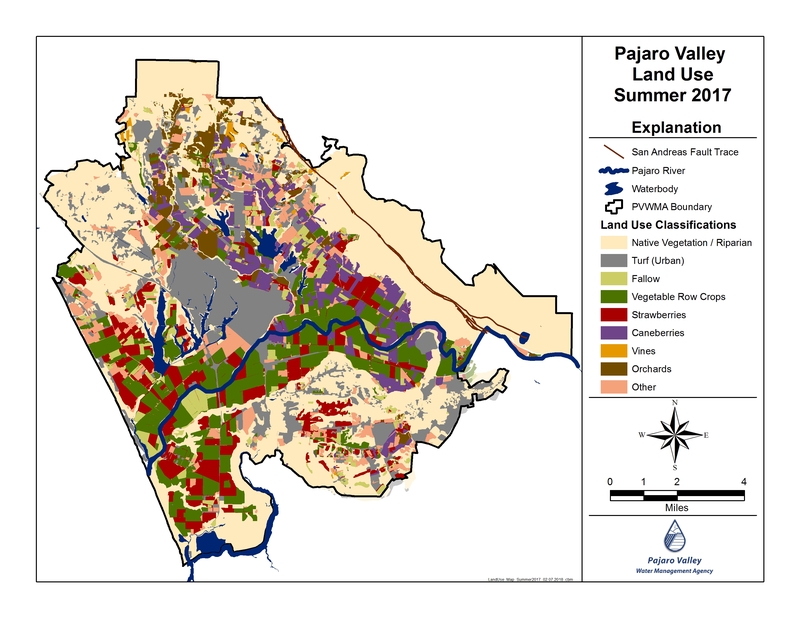 If you would like to learn more about the Pajaro River Watershed, see an interactive Pajaro River Watershed map, click here: Pajaro Compass Webmap. 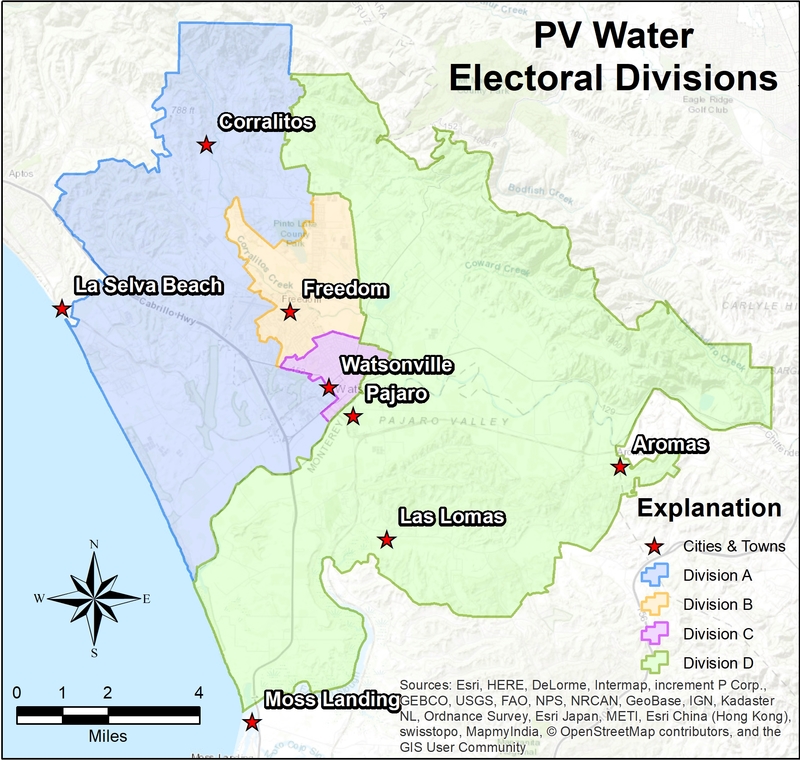 This map shows PV Water boundaries and four electoral divisions (as updated in 2018), and includes major roads. This map shows the geologic formations at the surface for all areas within PV Water boundaries. This shows the land use types throughout the PV Water Boundary in the Summer of 2017. 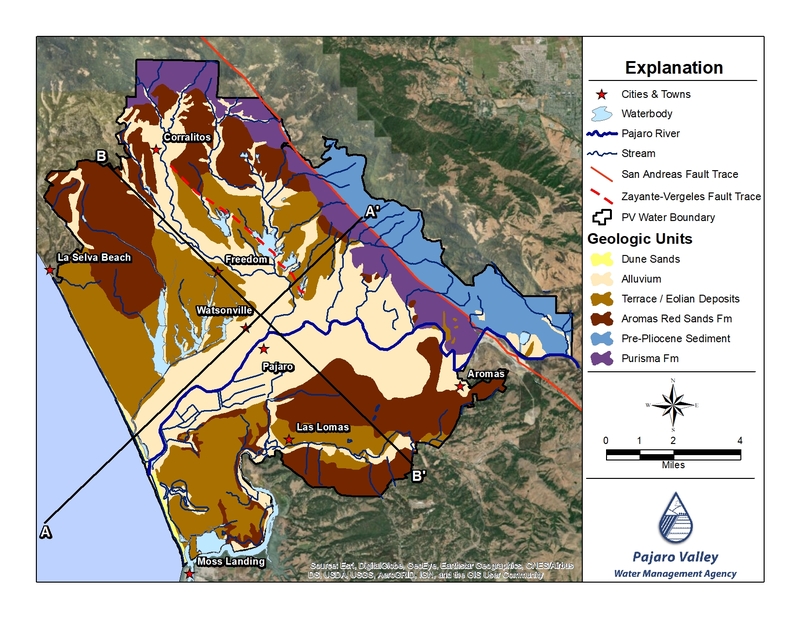 PV Water conducts annual land use observations in June of every year. 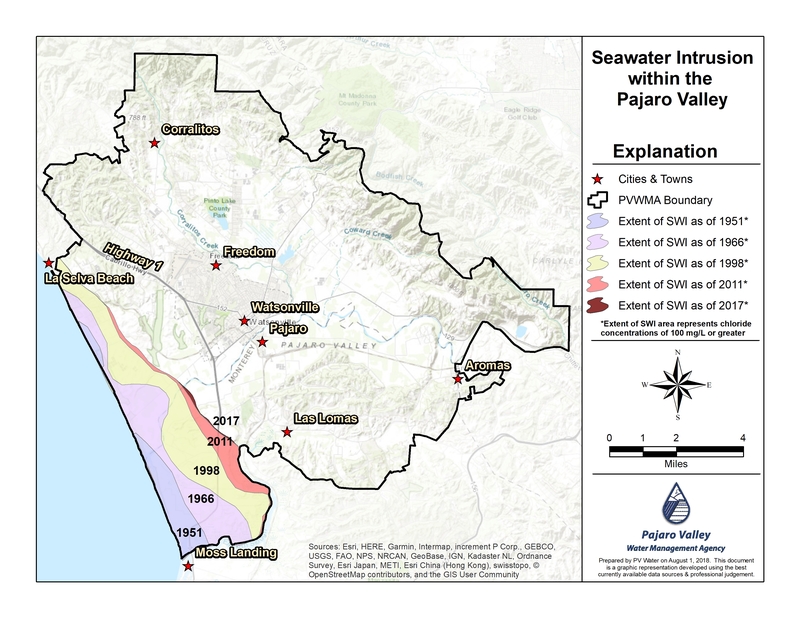 This map shows a cut-away view across the basin (from the ocean to the inland mountain range) within PV Water boundaries. This map shows average annual rainfall amounts within the PV Water Hydrologic Model boundaries from 1981 to 1989. 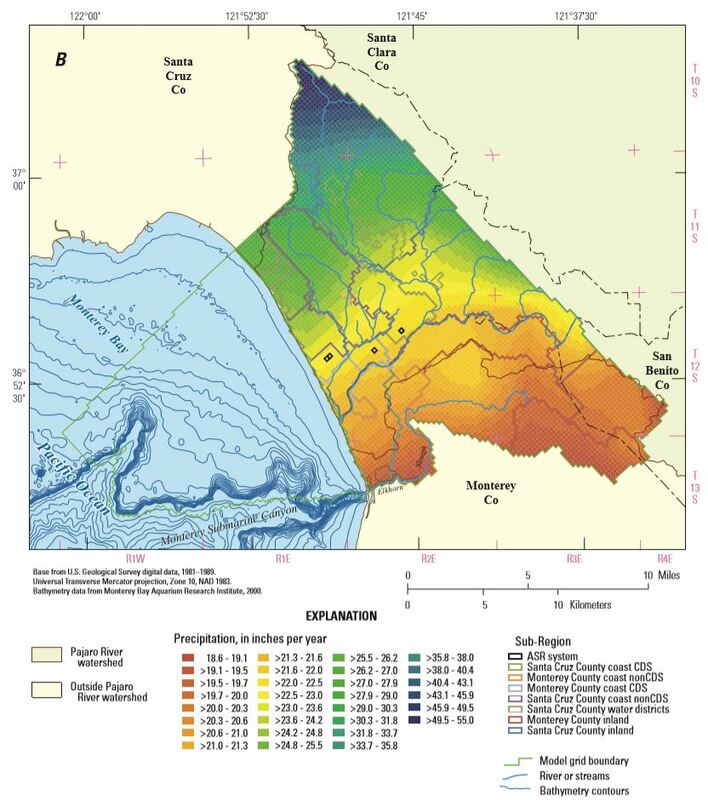 This Figure is from page 22 of the USGS Integrated Hydrologic Model of Pajaro Valley Santa Cruz and Monterey Counties, California. This map shows the extent of seawater intrusion into the local groundwater as of 2017. 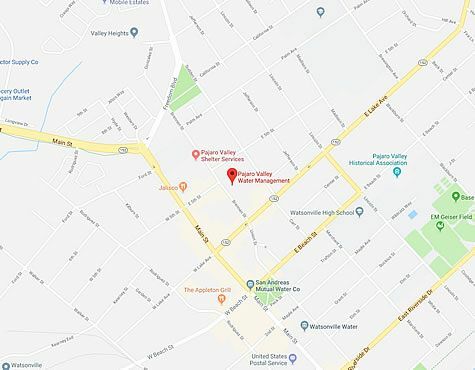 PV Water is located at 36 Brennan Street near downtown Watsonville. Brennan Street runs one block north of Main Street. The office is near the intersection of Fifth Street and Brennan Street. Business hours are 8am to 5pm and we are open during lunch.